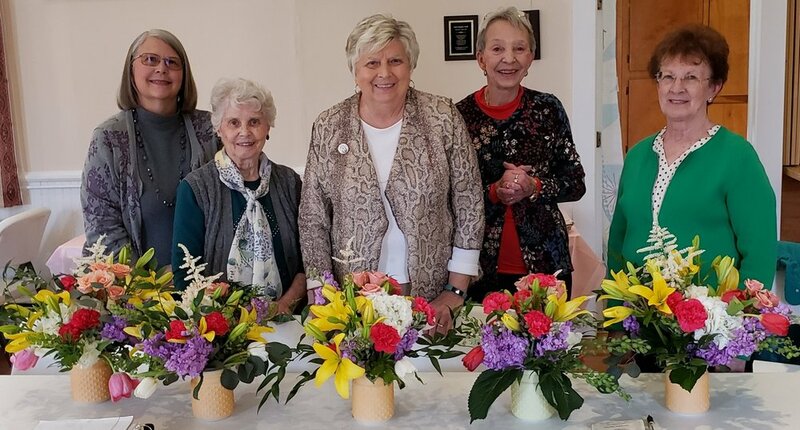 Tuesday March 12, 2019 I had the amazing opportunity to work with these lovely members of the Jackson River Garden Club in Covington, VA. It was so fun to share our pretty flowers with these pretty ladies. Each one of their finished designs were just as unique and beautiful as they are. I guided our group on what flowers to start with and made a few suggestions, but these girls jumped right in and had fun placing each blossom just where they wanted. Here is an up close shot of one beautiful bouquet. Didn’t Cynthia do a wonder job creating her design?